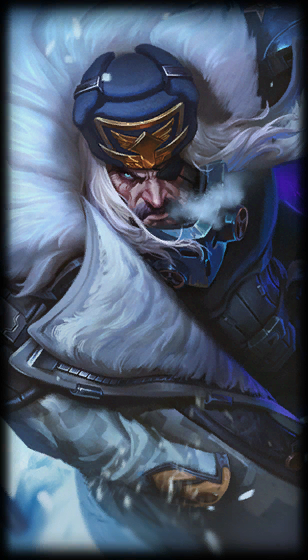 "You dare oppose Noxus?" 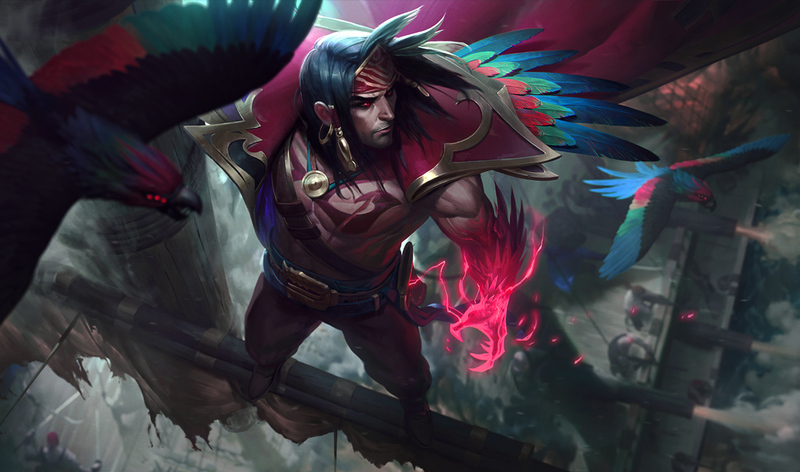 Swain's champion update is marching on to live with patch 8.3, including new gameplay, visuals, updated skins, voiceover, and more! 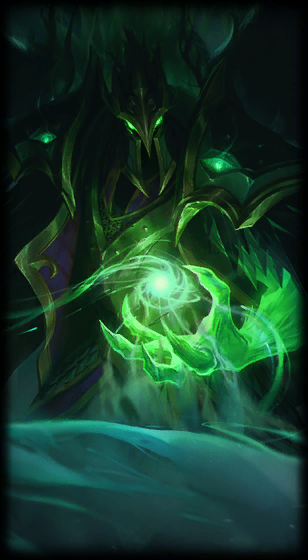 Continue reading to see kit specifics, updated skin previews, and special interactions! The update is available as soon as the 8.3 patch hits live! From the release announcement - "Swain available now!" 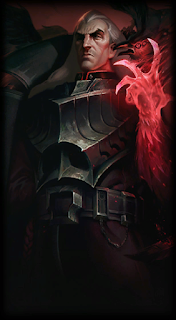 "The Noxian Grand General has arrived at the front. 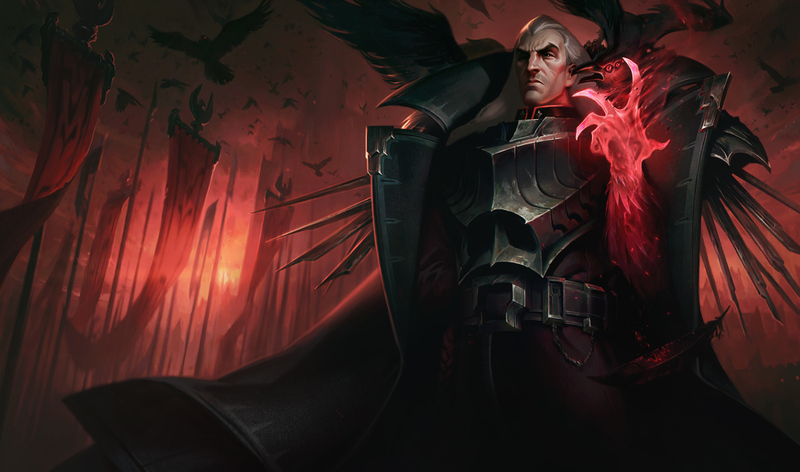 March onward and claim glory for the empire—Swain is available now. 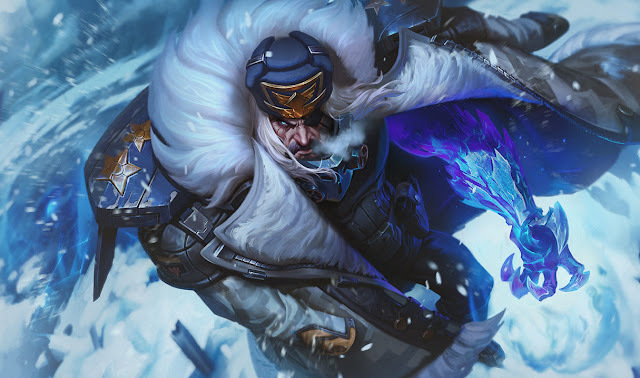 The Noxian Grand General Bundle will be available for 1834 RP (2450 RP if you need Swain) from now through February 16 at 23:59 PT. The Noxus themed icon we saw in the 8.3 cycle is now available to collect through a mission! 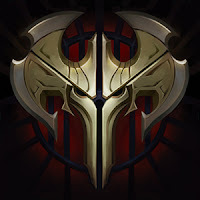 "Glory for Noxus: Win a game as, with, or against a Noxus Champion! Swain can store up to 5 Soul Fragments. Base damage, cooldown, and health restore based on level. At level 1, restore is 4% total health. This scales up to 7% based on level. 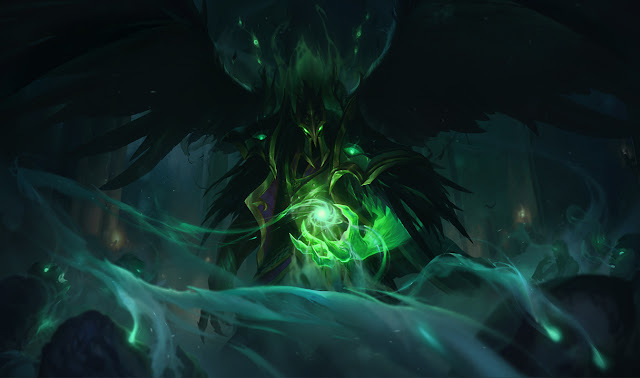 Swain unleashes FIVE bolts of eldritch power that strike the first enemy they hit and pierce through enemies they kill. Enemies hit take 65/85/105/125/145 (+40% AP) magic damage, plus 15/20/25/30/35% per additional bolt. Max Damage: X. Each unit killed by Death's Hand restores X Mana (3% max mana). Swain opens a demon eye up to 3500 range away that deals 100/150/200/250/300 (+70% AP) magic damage and slows for 25/35/45/55/65% for 2.5 seconds. Champions hit grant Swain a Soul Fragment and are revealed for 4/5/6/7/8 seconds. Damage is reduced by 50% against minions. Swain launches a wave of demonic power, dealing 35/70/105/140/175 (+25% AP) magic damage to enemies it passes through. Swain then commands the wave to return, detonating it on the first enemy hit. Enemies hit take 35/45/55/65/75 (+25% AP) magic damage and are rooted for 1.5 seconds. Swain frees the demon within for 12 seconds, gaining 150/275/400 health. Every second, he drains the 3 closest enemy champions for 35/50/65 (+14% AP) magic damage, healing him for 15/30/45 (+16% AP) health. After draining 150/300/450 health (based on level), Swain gains the ability to cast Demonflare. Demonflare: Swain unleashes a nova of soulfire dealing magic damage and ending his transformation. Damage per Soul Fragments: 45/60/75 (+27% AP). 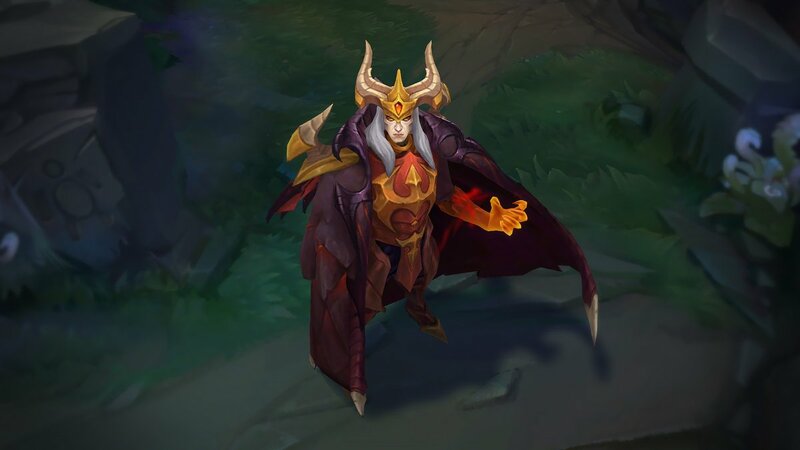 Swain can drain non-champions to heal for 20% of the normal amount. Pick Line: "Fear the power you do not see." Ban Line: "Do not confuse cowardice for wisdom." "Jericho Swain is the visionary ruler of Noxus, an expansionist nation that reveres only strength. Though he was cast down and crippled in the Ionian wars, his left arm severed, he seized control of the empire with ruthless determination... and a new, demonic hand. Now, Swain commands from the front lines, marching against a coming darkness that only he can see-- in glimpses gathered by shadowy ravens from the corpses all around him. In a swirl of sacrifice and secrets, the greatest secret of all is that the true enemy lies within." 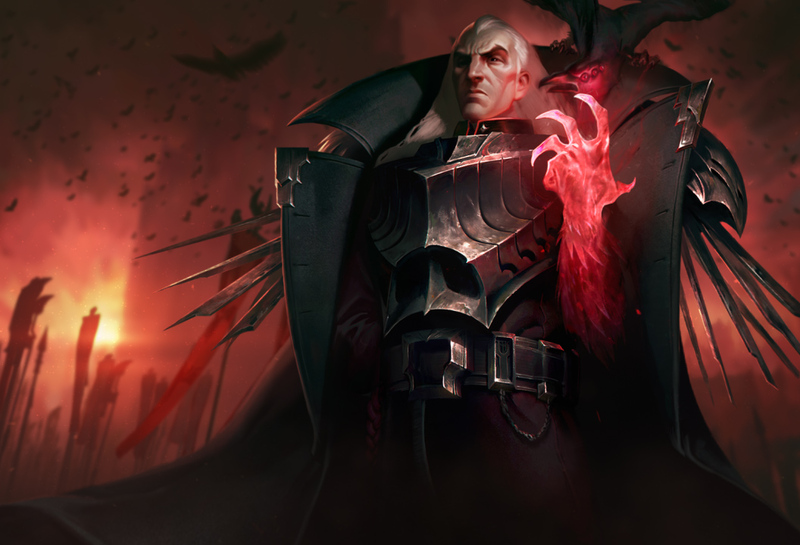 Swain's full lore is available on his Universe page! These and more can be found in the recent Noxus lore update. 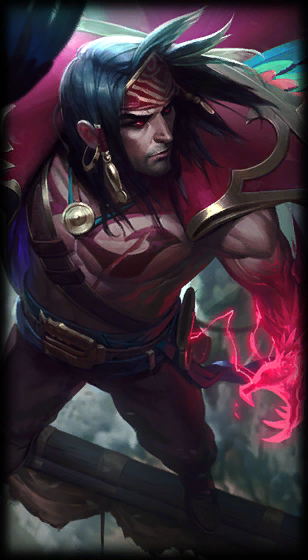 A new login them featuring Swain will also be seen during the patch! Need to light things up? Dragon Master Swain is also being previewed for the 8.4 PBE cycle!